Editor’s note: The Harvard Initiative for Learning and Teaching (HILT) conference last May asked participants to ponder the following framing question: “In this time of disruption and innovation for universities, what are the essentials of good teaching and learning?” At the conference, after a panel of psychologists had discussed aspects of the “science of learning,” three speakers addressed the “art of teaching”—among them then professor of history of art and architecture Jennifer L. Roberts (now Elizabeth Cary Agassiz professor of the humanities), who also chairs the doctoral program in American Studies. She confessed limited exposure to education theory, and then proceeded to provide a vivid demonstration of deep humanistic education and learning, drawn from her own teaching in the history of art, but with broader applications. 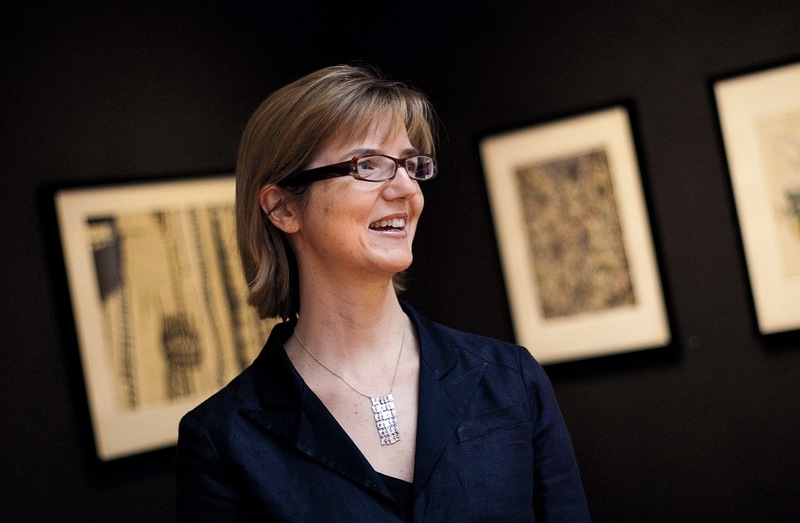 Although she makes broad use of digital technology in her teaching, she feels that it is also essential to give students experience in modes of attentive discipline that run directly counter to the high-speed, technologically assisted pedagogies emerging in the digital era—and to the experiences and expectations of contemporary students. Roberts adapted the following text from her HILT presentation. I‘m not sure there is such a thing as teaching in general, or that there is truly any essential teaching strategy that can be abstracted from the various contexts in which it is practiced. So that we not lose sight of the disciplinary texture that defines all teaching, I want to offer my comments today in the context of art history—and in a form that will occasionally feel like an art-history lesson. It is commonly assumed that vision is immediate. It seems direct, uncomplicated, and instantaneous—which is why it has arguably become the master sense for the delivery of information in the contemporary technological world. But what students learn in a visceral way in this assignment is that in any work of art there are details and orders and relationships that take time to perceive. I did this three-hour exercise myself on this painting in preparation for my own research on Copley. And it took me a long time to see some of the key details that eventually became central to my interpretation and my published work on the painting. 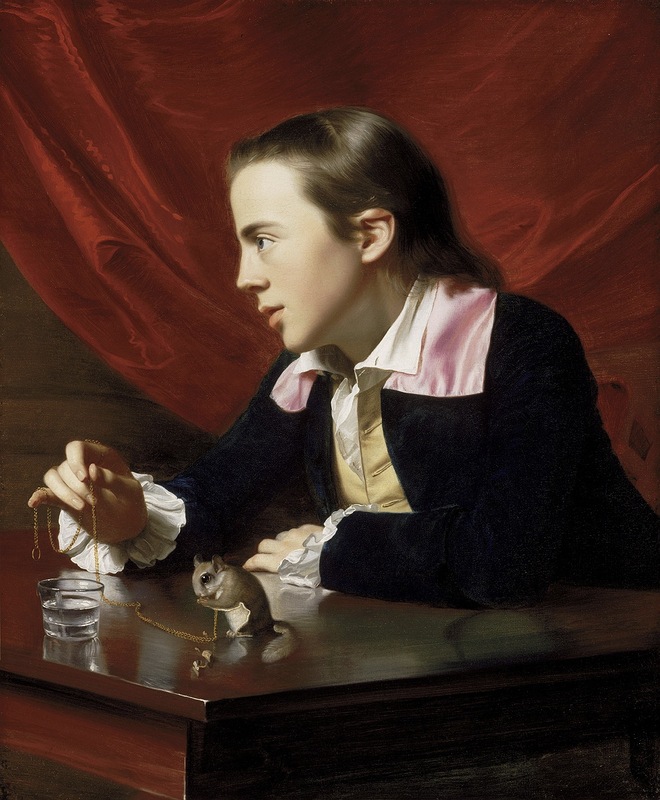 Just a few examples from the first hour of my own experiment: It took me nine minutes to notice that the shape of the boy’s ear precisely echoes that of the ruff along the squirrel’s belly—and that Copley was making some kind of connection between the animal and the human body and the sensory capacities of each. It was 21 minutes before I registered the fact that the fingers holding the chain exactly span the diameter of the water glass beneath them. It took a good 45 minutes before I realized that the seemingly random folds and wrinkles in the background curtain are actually perfect copies of the shapes of the boy’s ear and eye, as if Copley had imagined those sensory organs distributing or imprinting themselves on the surface behind him. And so on. The art historian David Joselit has described paintings as deep reservoirs of temporal experience—“time batteries”—“exorbitant stockpiles” of experience and information. I would suggest that the same holds true for anything a student might want to study at Harvard University—a star, a sonnet, a chromosome. There are infinite depths of information at any point in the students’ education. They just need to take the time to unlock that wealth. And that’s why, for me, this lesson about art, vision, and time goes far beyond art history. It serves as a master lesson in the value of critical attention, patient investigation, and skepticism about immediate surface appearances. I can think of few skills that are more important in academic or civic life in the twenty-first century. Deceleration, then, is a productive process, a form of skilled apprehension that can orient students in critical ways to the contemporary world. But I also want to argue that it is an essential skill for the understanding and interpretation of the historical world. Now we’re going to go into the art-history lesson, which is a lesson about the formative powers of delay in world history. I have chosen Copley’s work to discuss today because it actually has a significant educational resonance. It’s essentially an example of eighteenth-century distance learning. In 1765, Copley was doing very well as the best portrait painter in North America. But he felt stranded in the backwater colony of Boston, thousands of miles away from the nearest art academy. He was clearly a talented painter, but he had been mostly self-taught, and he longed to have a chance to learn from the painting superstars in the academic center of London. So he decided to try to open up a correspondence course of sorts. And to begin that correspondence he painted this picture, packed it up in a crate, walked down to Boston Harbor, put it on a ship, walked back to his studio, and waited to see what kind of feedback he might get about his work from London. He had to wait a very long time. It took about a month for the painting to make the crossing to London, and then it was stuck for several weeks in customs, and then it waited a few weeks before it could go on exhibition, and then a friend of Copley’s wrote him a letter conveying some of the things he’d heard the academicians say. He waited a long while to send it, at which point it took almost eight weeks (sailing now against the current) to return to Boston on another ship. All in all, it was about 11 months before Copley was able to open his friend’s letter and learn that painters in London thought his work was generally wonderful but that it suffered from being rather “too liney”—and that Copley might consider correcting that fault. Copley was unsure exactly what that meant, and dispatched another letter asking his friend to inquire further into the matter. This became typical of his long-distance education. Now, the people in this room who are experienced in educational-feedback theory are probably horrified. Indeed, in the terms of educational science, this agonizingly slow response pace would be identified, I believe, as “non-formative” feedback. And yet I would like to suggest that slowness is not necessarily “non-formative”—in fact, in the case of this painting, it is thoroughly formative. Let me be clear that I am not arguing that we should wait 11 months to return papers. I’m talking in a more general way about the need to understand that delays are not just inert obstacles preventing productivity. Delays can themselves be productive. We can see this directly in the painting, which is full of allusions to time, distance, and patience. The painting is about its own patient passage through time and space. Look at that squirrel. As the strange shape of the belly fur indicates, if one takes time to notice it, this is not just any squirrel but a flying squirrel, a species native to North America with obvious thematic resonances for the theme of travel and movement. (The work’s full title is A Boy with a Flying Squirrel.) Moreover, squirrels in painting and literature were commonly understood to be emblems of diligence and patience. Then: the glass of water and the hand. Across his long career, this is the only glass of water that Copley ever included in a painting. Why? Well, for one thing, this motif evokes the passage of a sensory chain across a body of water and thereby presents in microcosm the plight or task of the painting itself. Or think about the profile format of the portrait—unusual for Copley. It turns out that in the eighteenth century, the profile format was very strongly associated with persistence in time and space. Where was one most likely to see a profile? On a coin. What is a coin? In essence, a coin is a tool for transmitting value through space and time in the most stable possible way. Coins are technologies for spanning time and distance, and Copley borrows from these associations for a painting that attempts to do the same thing. Copley’s painting, in other words, is an embodiment of the delays that it was created to endure. If Copley had had instant access to his instructors in London, if there had been an edX course given by the Royal Academy, he would not have been compelled to paint the way he did. Changing the pace of the exchange would have changed the form and content of the exchange. This particular painting simply would not exist. This painting is formed out of delay, not in spite of it. And this is actually a lesson with much wider implications for anyone involved in the teaching or learning of history. In the thousands of years of human history that predated our current moment of instantaneous communication, the very fabric of human understanding was woven to some extent out of delay, belatedness, waiting. All objects were made of slow time in the way that Copley’s painting concretizes its own situation of delay. I think that if we want to teach history responsibly, we need to give students an opportunity to understand the formative values of time and delay. The teaching of history has long been understood as teaching students to imagine other times; now, it also requires that they understand different temporalities. So time is not just a negative space, a passive intermission to be overcome. It is a productive or formative force in itself. Given all this, I want to conclude with some thoughts about teaching patience as a strategy. The deliberate engagement of delay should itself be a primary skill that we teach to students. It’s a very old idea that patience leads to skill, of course—but it seems urgent now that we go further than this and think about patience itself as the skill to be learned. Granted—patience might be a pretty hard sell as an educational deliverable. It sounds nostalgic and gratuitously traditional. But I would argue that as the shape of time has changed around it, the meaning of patience today has reversed itself from its original connotations. The virtue of patience was originally associated with forbearance or sufferance. It was about conforming oneself to the need to wait for things. But now that, generally, one need not wait for things, patience becomes an active and positive cognitive state. Where patience once indicated a lack of control, now it is a form of control over the tempo of contemporary life that otherwise controls us. Patience no longer connotes disempowerment—perhaps now patience is power. If “patience” sounds too old-fashioned, let’s call it “time management” or “temporal intelligence” or “massive temporal distortion engineering.” Either way, an awareness of time and patience as a productive medium of learning is something that I feel is urgent to model for—and expect of—my students. Jennifer L. Roberts’s new book, Transporting Visions: The Movement of Images in Early America, to be published in February by the University of California Press, is a material history of visual communication from 1760 to 1860. It focuses on works by Copley, John James Audubon, and Asher B. Durand.